Maitreya Project Trust (MPT) was registered as a Socio-Spiritual Trust in Gorakhpur, Uttar Pradesh, India, in February 2003 and is identified by PAN number AABTM5920G. The Trust is supervised by 4 Trustees. Day to day operations of the Maitreya Buddha statue project in Kushinagar are overseen by the Trust’s Governing Body comprising 3 members. 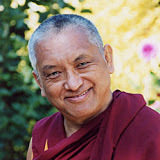 Lama Thubten Zopa Rinpoche is the Spiritual Advisor to the Maitreya Buddha Statue Project. Lama Zopa is a renowned Buddhist scholar and meditator who for 30 years has guided the spiritual activities of the extensive worldwide network of centers, projects, and services, that comprise the Foundation (FPMT) which Rinpoche founded with the late Lama Thubten Yeshe. FPMT’s activities include a proliferation of charitable and humanitarian projects, and involvement in two Maitreya Projects. One is under planning in Bodhgaya, Bihar, and this project under the auspices of Maitreya Project Trust, is under development in Kushinagar, Uttar Pradesh. Lama Zotpa was an Honourable Member of the Minorities Commission of the Government of India, and has held various high level Government of India postings during his lifetime. He is currently the Chairman of the Himalayan Buddhist Cultural Association. Kabir Saxena is an Oxford educated Buddhist monk with over 25 years’ experience teaching and working at grass roots level social welfare projects in rural India. Ven Kabir was the Founder of Root Institute in Bodhgaya, which now operates the Shakyamuni Community Health Care Centre. Kabir is currently Chairman of the Maitreya Project Trust. Chhaya is an academician and management professional of long standing. She is a pioneer in using an integrative approach to health, and serves as Chairman of Devang Holdings Private Limited, and is on the Board of Directors of several business and not for profit entities. Ranjit Singh Walia is Director of Walia and Company, a prominent New Delhi law firm. Ranjit is a highly regarded legal luminary and his counsel is sought by a large numbers of corporate and philanthropic organizations. Virginia Roche is the Executive Director of Maitreya Project Trust. Virgina is an entrepreneur who runs two leading construction businesses in the Middle East. She is Middle Easts only Indian Woman Entrepreneur in Contracting to establish and successfully run a construction business. Her area of work and expertise spans across General Contracting, Infrastructure Projects & Petrochemical Plants. She has a Bachelors Degree in Commerce from Mount Carmel College Bangalore and an MBA in Real Estate & Construction Management from Oxford Brookes University..
Renuka Singh retired in 2017 from the Centre for the Study of Social Systems, Jawaharlal Nehru University. She has been the Director of Tushita Mahayana Meditation Centre, Delhi since 1993. She has authored and edited over 15 books that have also been translated into many world languages. Marcel Bertels has a Batchelor’s degree in Economics from the Vrije Universiteit in Amsterdam. 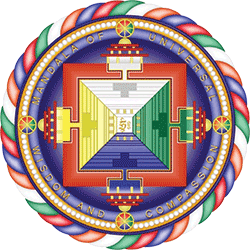 He has been a associated with FPMT from its inception and was a Buddhist monk for over 30 years. He was instrumental in getting Maitreya Project moved to Kushinagar and negotiated the initial MoU with the UP Government. He was the country director of Maitreya Project Trust till 2003, and has recently rejoined the Project.